Harvest the Fun! 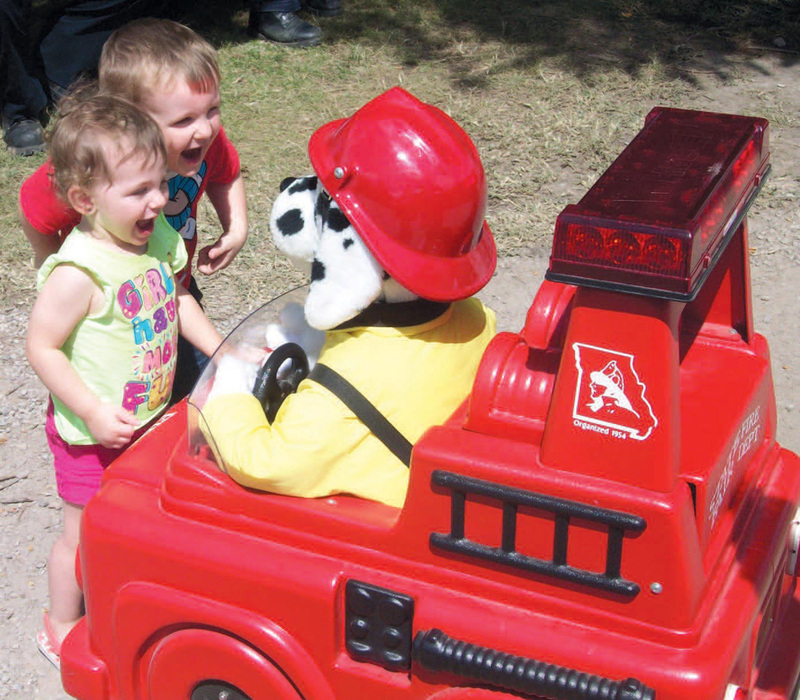 2014 Missouri State Fair FD | F.F.A.M. The MSFFD responded to a total of 132 calls for service in 2014 (142 in 2013). These calls for service included 91 medical or trauma responses, 3 transfers from the fairgrounds to Bothwell Regional Health Center, and 5 miscellaneous fire responses which included a motor vehicle accident with injuries and a carbon monoxide incident. The MSFFD also provided 33 standbys for special events. In addition to calls for service, the first aid station located in the firehouse treated 240 patients (186 in 2013). The MSFFD responded to two major incidents which garnered attention in local media outlets, as well as international attention in the fire service. The first major incident occurred Sunday, August 10. Two juveniles were injured after a pick-up truck collided with a camper where they were sleeping. The accident occurred at approximately 9:00 p.m. in the campground utilized by fair patrons showing sheep. The pick-up truck driver’s foot became stuck to the accelerator due to mud on his boots. The truck accelerated and struck a parked truck before travelling through a chain link fence and colliding with a parked SUV, which then struck the camper where the juveniles were sleeping. The force of the collision threw the juveniles out of their bed. The Missouri State Fair Fire Department arrived and provided medical treatment to the parties involved in the accident. The two juveniles were transported to Bothwell Regional Health Center in Sedalia by Missouri State Fair Fire Department ambulances, both with minor injuries. The driver of the pick-up truck was not injured. The second incident occurred at approximately 2:48 p.m., Tuesday, August 12. The MSFFD responded to the Mathewson Exhibition Center to investigate a report of possible elevated Carbon Monoxide (CO) levels during an antique tractor show. When the initial MSFFD engine company arrived and began to enter the large arena, a CO level of 140 ppm was present. The engine company donned PPE and SCBA and began an evacuation of the building. During the investigation at the arena, the highest reading of over 170 ppm was found. All four engine companies arrived to assist with evacuations and ventilation of the arena. Four of the five MSFFD ambulances were used as a mass casualty incident was declared and triage area established. As a result of the high CO levels, over 20 individuals who had been in the arena were evaluated at the scene. Two patients were transported to Bothwell Regional Health Center with CO exposure symptoms. At 4:45 p.m. CO levels in the Mathewson Exhibition Center were determined to be safe and normal activities, without the antique tractors, resumed. In addition to providing fire and medical service to the fairgrounds, crews conducted over 1,000 man hours of public relations activities. Personnel distributed hundreds of 9 volt and AA batteries, donated by Energizer Battery, to fair patrons for use in home smoke alarms. 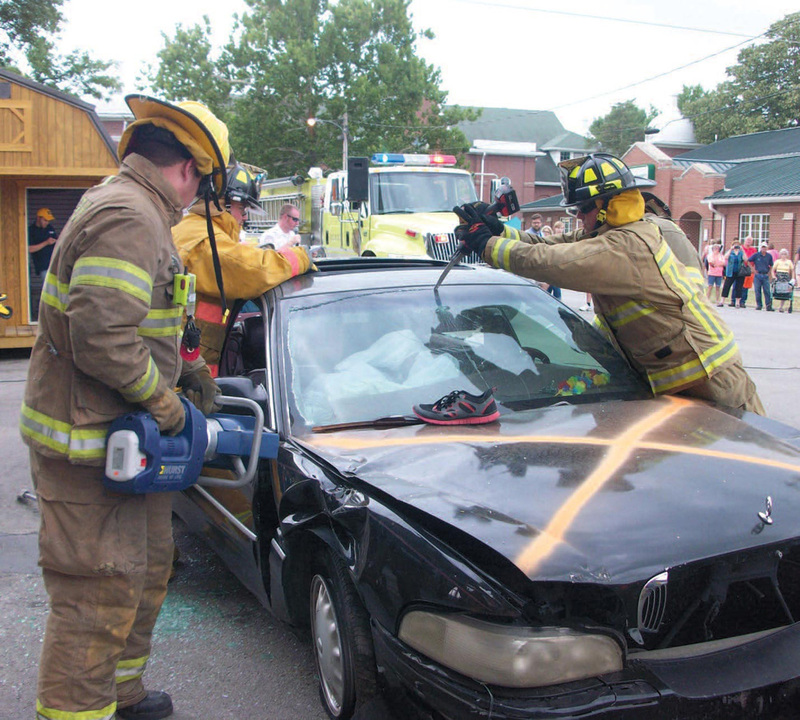 Crews provided two sessions of hands-on fire extinguisher training for the public as well as a vehicle fire demonstration, vehicle extrication demonstration and a vehicle extrication tools demonstration. The MSFFD in partnership with the Warrensburg Fire Department provided a fire sprinkler demonstration which was well attended. Each year, the MSFFD provides exceptional fire and emergency medical service to the patrons of the Missouri State Fair. 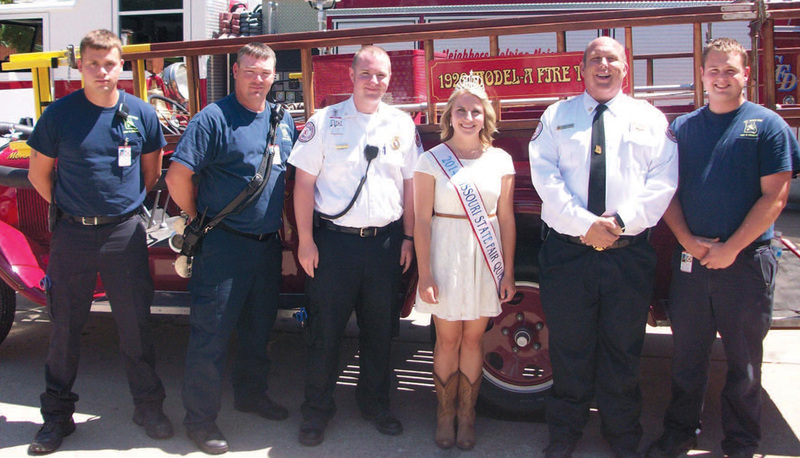 In addition to providing this service, the MSFFD serves as the face of the Fire Fighters Association of Missouri. The 11 days the MSFFD is in full service operating out of the small firehouse in Sedalia is likely the largest interaction with the public for the FFAM. This is also a great opportunity for the FFAM to reach out and present a fire safety message to everyone who stops by the firehouse. Thank you to the FFAM for continued support of the MSFFD operations. 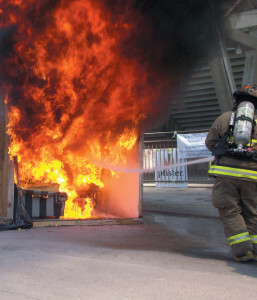 The Missouri State Fair Fire Department provides fire and medical response during the State Fair. The Missouri State Fair Fire Department is the only fully operational fire department in the United States that operates for only 11 days a year. The Department is staffed with dedicated volunteers 24 hours per day throughout the State Fair providing fire suppression and advanced life support emergency medical services. The Missouri State Fair Fire Department would like to thank the following donors. Without the assistance from these donors, the Department would not have been able to operate.